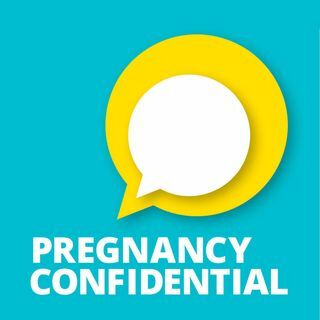 Pregnancy Confidential is a series of 32 podcasts designed to be accessed weekly by expectant moms. Hosted by editors from Parents and Fit Pregnancy and Baby magazines, each 10-20 minute podcast walks listeners through the physical, emotional and/or lifestyle markers of that week of pregnancy. The tone is friendly, fun, and conversational—you can read the medical information about pregnancy elsewhere. This podcast will be your best friend taking you through the real feelings—the joy and the ... Maggiori informazioni annoyances—of pregnancy so you never have to experience any of it alone. This is real talk/girlfriend-to-girlfriend stuff you might not get elsewhere. Pregnancy Week 9 - OMG: I’m pregnant! Pregnancy Week 11 - Pregnancy - The Ultimate Relationship Test? Pregnancy Week 12 - Hi, boss. I’m pregnant! Pregnancy Week 13 - Who Says We Can’t Eat for Two? Pregnancy Week 15 - I’m Not Fat, I’m Pregnant! Pregnancy Week 16 - Home, Hospital or Birthing Center? You Decide. Pregnancy Week 18 - Planning a gender reveal: Boy? Girl? Who cares?